Preharvest corn head checklist: Guidelines to significantly reduce yield loss and in-season breakdowns. Snoot Dividers: From the side of the corn head, look down the snoot tips and make sure they are all level with each other. 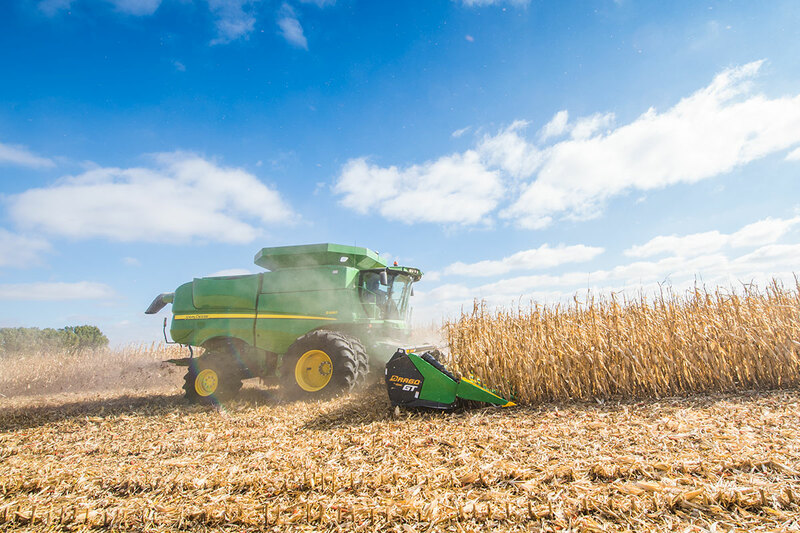 “You want uniformity across the head for accurate header height function and position, this is especially important when harvesting down corn. Deck Plates: Producers with hydraulic deck plates should look for extra wear in linkage at every one of the many pivot points, Bollig says. “And it’s crucial to measure and recalibrate the gap in each row for uniformity. 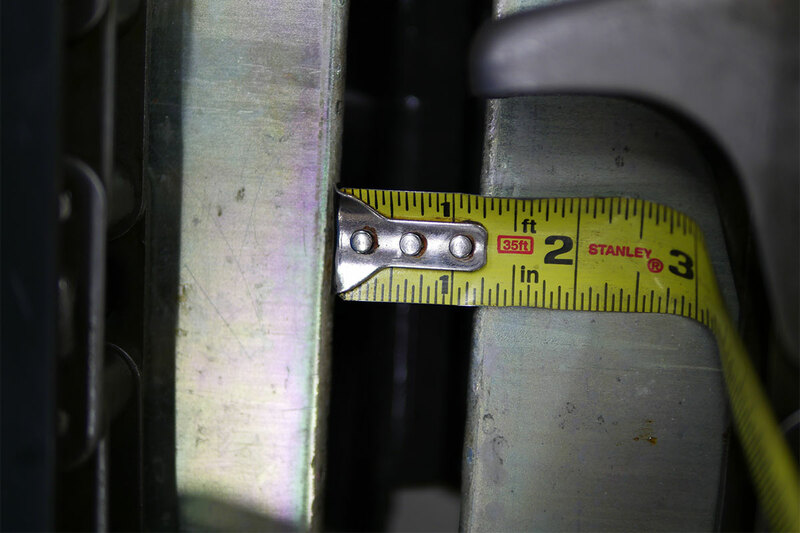 Even just 1/8th-inch difference can result in yield loss, and a 1/4” to 1/2” gap difference is not uncommon today, especially with many acres of wear.” Drago deck plates adjust automatically to stalk widths, row by individual row, and eliminate the worry of proper gap spacing during harvest. Drive chains: Inspect drive chains and tensions. 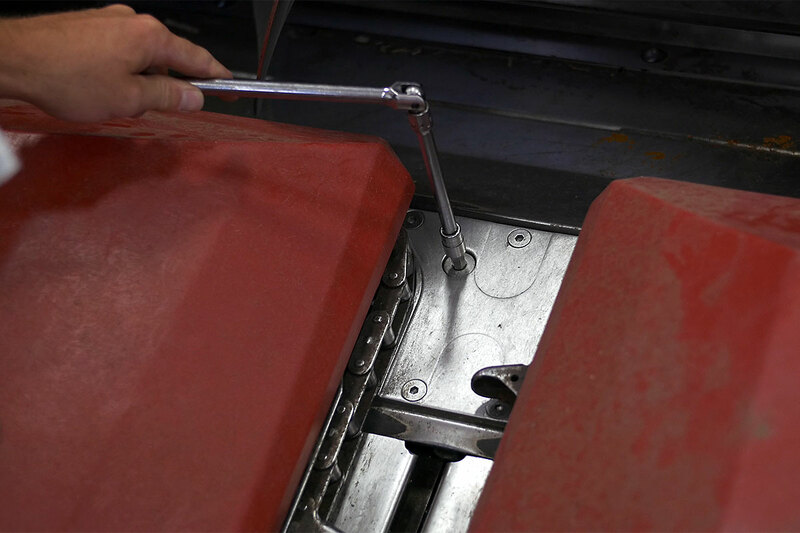 Bollig recommends removing chains and laying them on a table – moving links in and out to see movement to check wear on roller pins to avoid in-season breakage. “If you’re near the end on tension adjustments, consider replacing them,” Bollig says. “They will break when you need them most.” Gear-driven drives, such as those found on Drago corn head last through the life of the corn head. Gathering chains: Like drive chains, inspect this critical component for wear at the pins and readjust for proper tension. Loose chains will accelerate wear and eventually throw off their sprockets. A common culprit of loose chains are open spring tensioner designs that allow dirt and debris to build up on the spring, decreasing the chain tension. Heads that have this design should be blown off before the season starts and multiple times in the season to prevent loose chains and increase chain life. 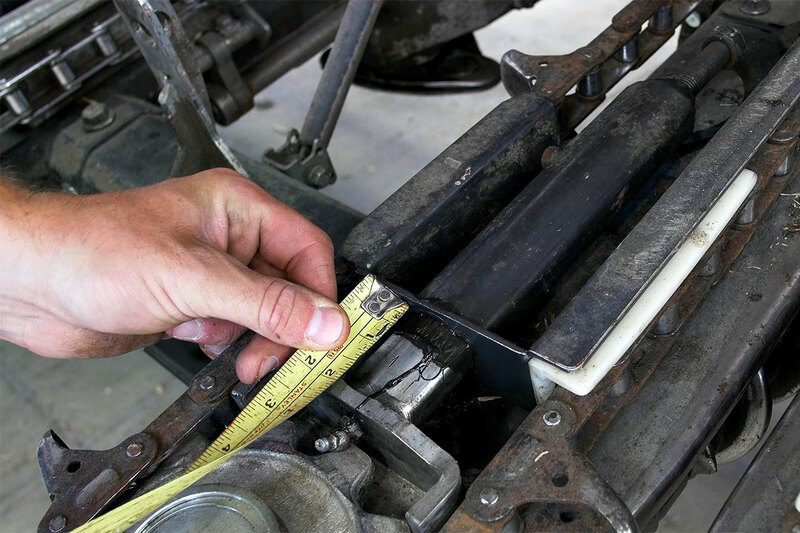 Gear boxes: Check fluid levels and look for any signs of leakage from a bad seal. Any issues now may result in serious problems by end of the season. 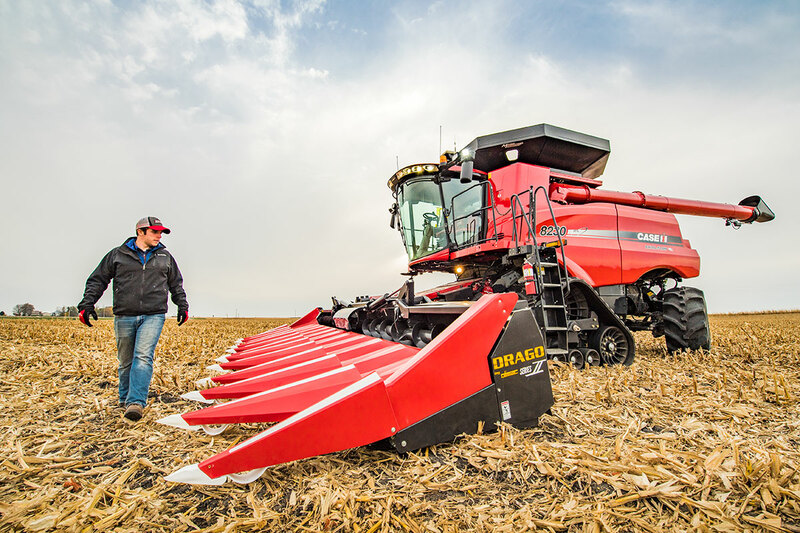 “And it’s always good to rotate knife rollers and choppers back and forth to see how much play there is in the gear box of each row unit,” Bollig adds. “Too much “slop” between gears suggests they aren’t meshing properly, which not only means wear is accelerating, but may be a sign the corn head itself may need replacing.” Drago gear boxes are more precise than any other brand for extended wear and durability. Lubrication: Check zerks and make sure they are taking grease – listening or watching for grease to emerge from around the seal while filling.